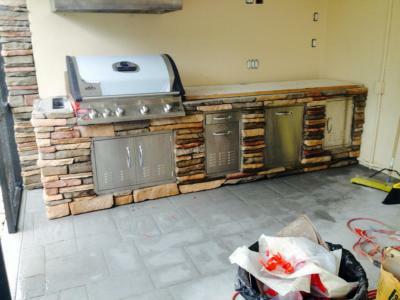 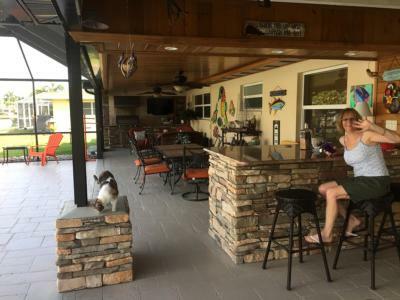 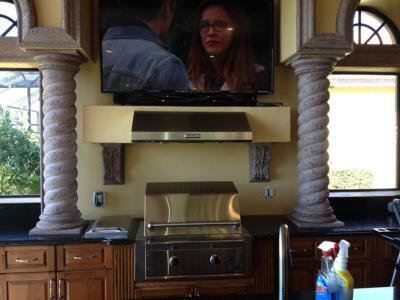 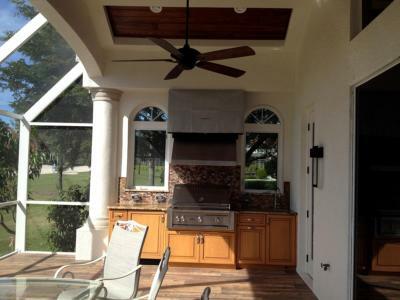 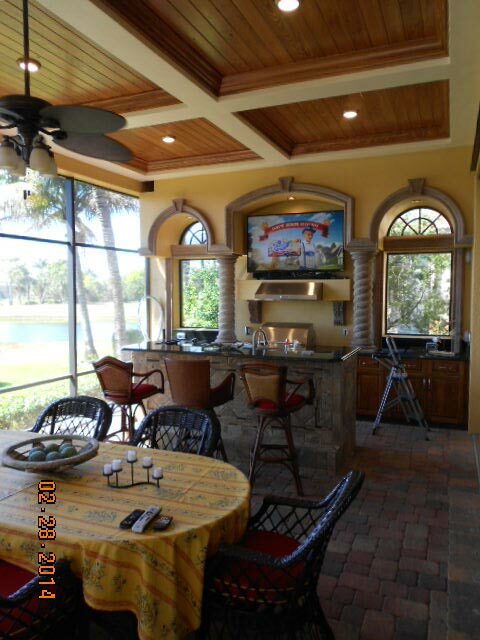 Are you looking for an outdoor kitchen that will hold to the elements here in Florida? 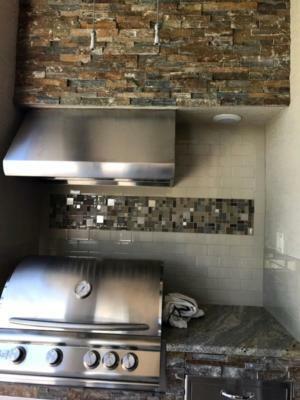 Cornerstone offers just that. Using marine grade plastic Seaboard material to make the cabinet boxes ensures that humidity and moisture will not be an issue. 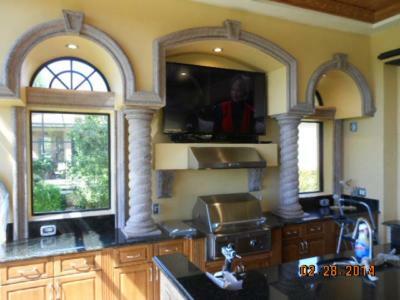 This material comes in a few different solid colors. We then finish it off with your choice of Cedar or Teak slab doors along with stainless steel hardware and hinges. 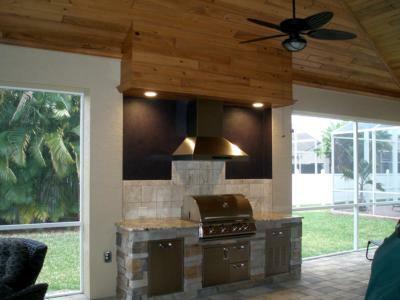 If the wood look is not what you are going for, we can also make doors out of the Seaboard material. The result is an outdoor kitchen that not only looks stunning, but will last for years to come. For the countertop, we recommend Granite as the best choice for an outdoor kitchen. Granite can hold up to the heat and humidity of an outdoor environment and is just the strong look you need to go with the Teak or Cypress doors. 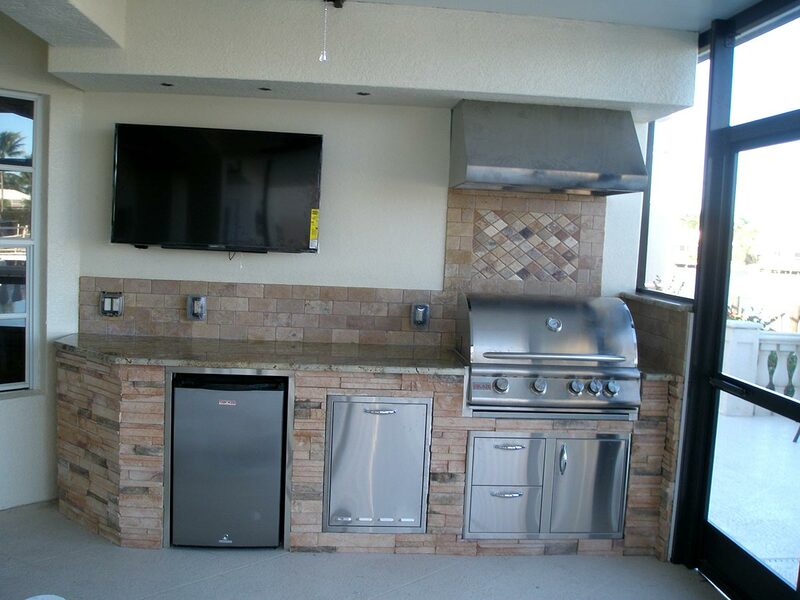 Quartz and solid-surface materials are not made for outdoor use and will have no warranty if using them in that application. 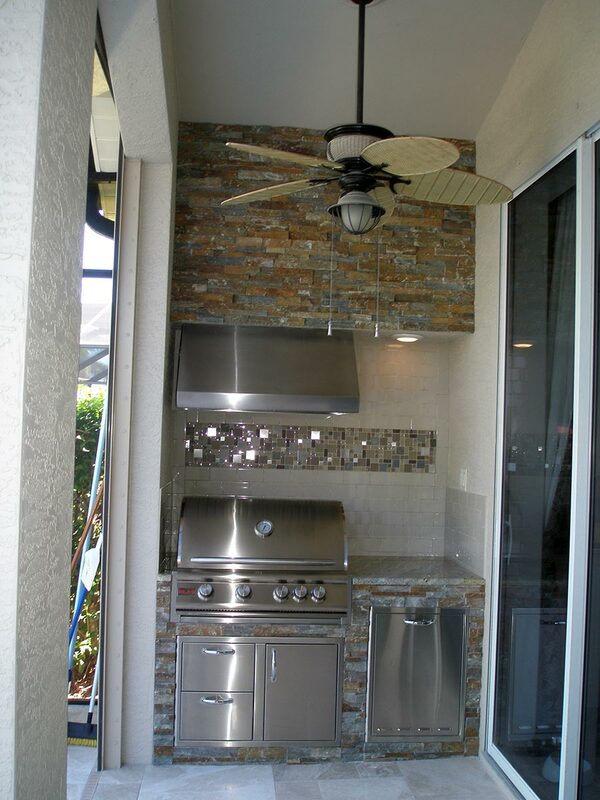 Granite can take the heat and stay in your outdoor kitchen. 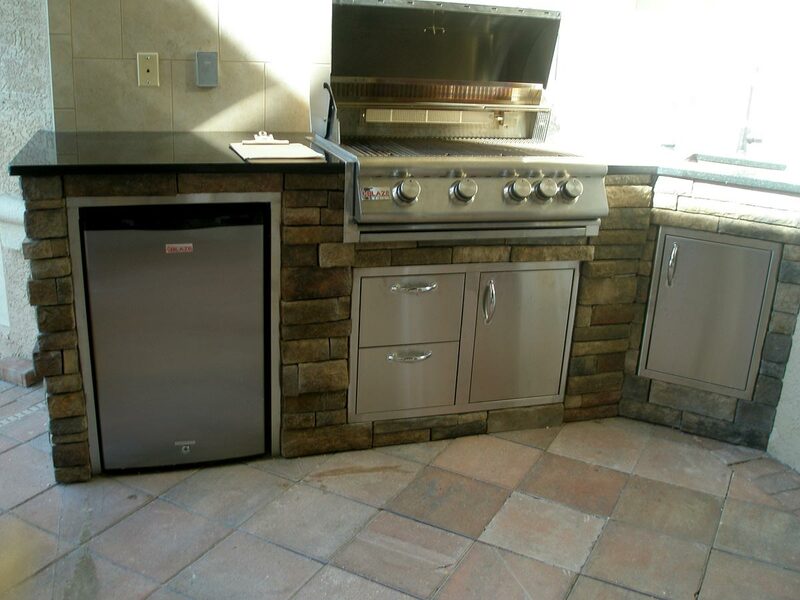 Whether it is replacing an existing outdoor kitchen, or adding one where you did not have one before, our outdoor kitchen cabinets and granite countertops, although not the least expensive option, are a much better value due to how they will hold up over the long-term.